Introducing our latest addition to the our INN! 100% ElectricGolf Cart Transportation around Ocean Beach and Sunset Cliffs from our hotel! We can now take up to 5-Passengers to the beach directly from the hotel. Don’t deal with the hassle of searching for beach parking. 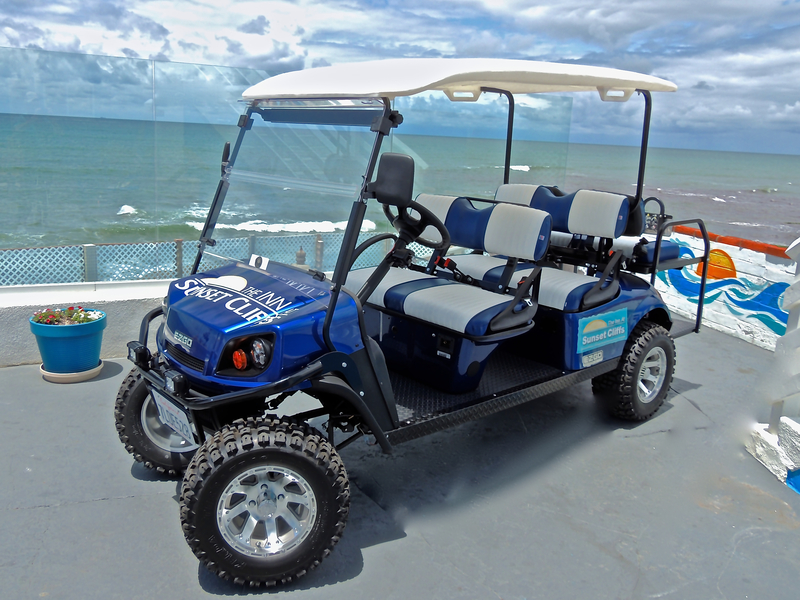 Eco-Friendly Golf-CartLet us drive you INN-stlye! Bring your boards and beach gear and we will drop you off/pick you up on the sand! Drop you off and pick you up steps from local restaurants, bars and shopping! 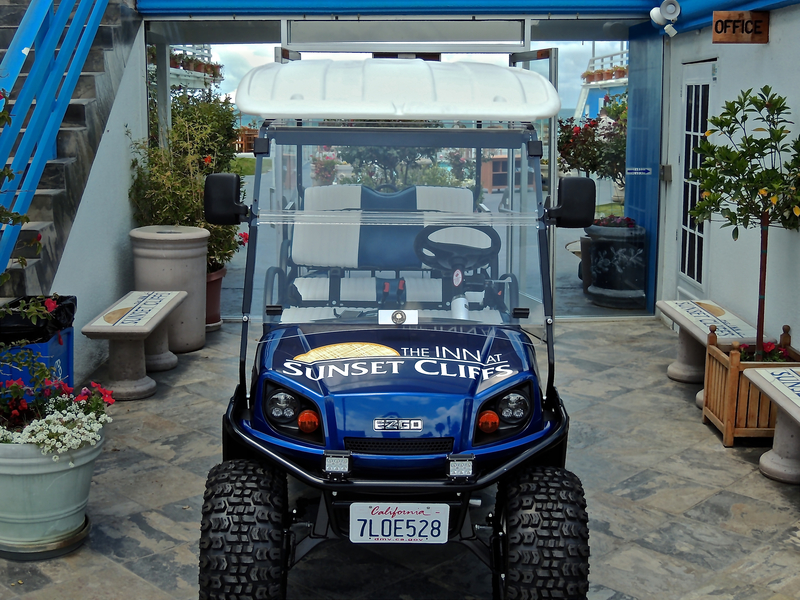 Arrive INN-style with our cool new Golf-Cart! Blue and white to match our hotel, Lifted 6 inches, stereo for our jams, LED lights, bumper grill, leather Two-Tone seats, and enough space for you and your gear! We will strap your boards to the roof and off we go! We can drop you and your board off at local surf spots on Sunset Cliffs and Ocean Beach! Private Tours are available! -Restaurant pick up and drop off. -5-Passenger customized golf-cart, coolest ride inn town. -Hours of service are the following; First drop off/pick up at 10am. Last pick up/drop off at 6pm. Our hours of service are 10am-6pm. Pick up/Drop Off reservations are required. If you have more than 5-Passengers, we will make more than one trip. -Reserve upon making room reservation-$20. Reserve upon check in or while staying with us-$30.